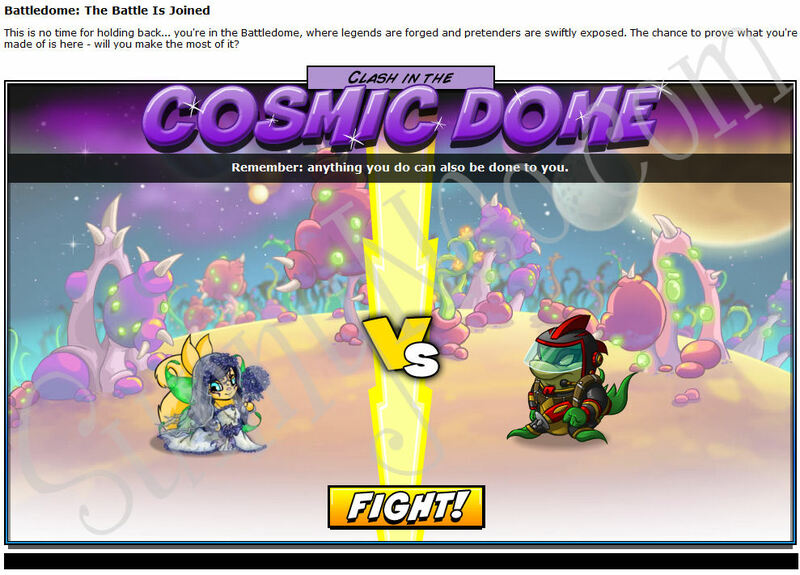 On October 17th, 2012 the Battledome officially closed down for a complete revamp. 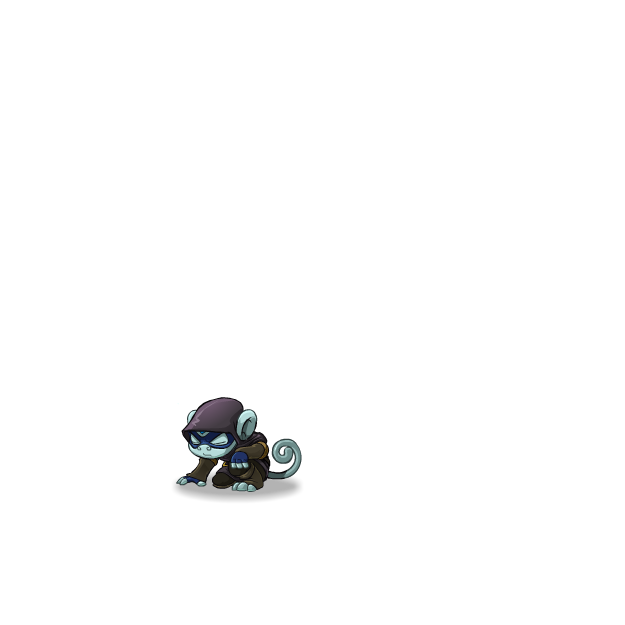 Read more at the Neopets FAQ page. Goodbye, old friend! - The (old) Battledome is now officially closed. 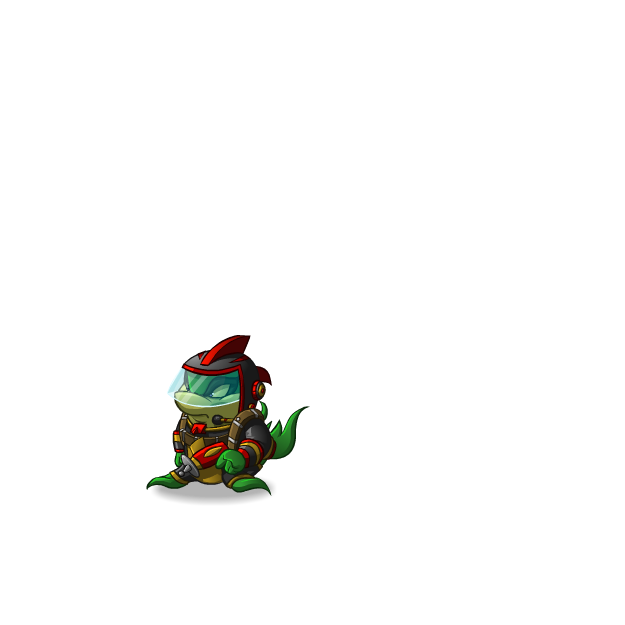 It has sacrificed itself so that its brother, New Battledome, may soon live. 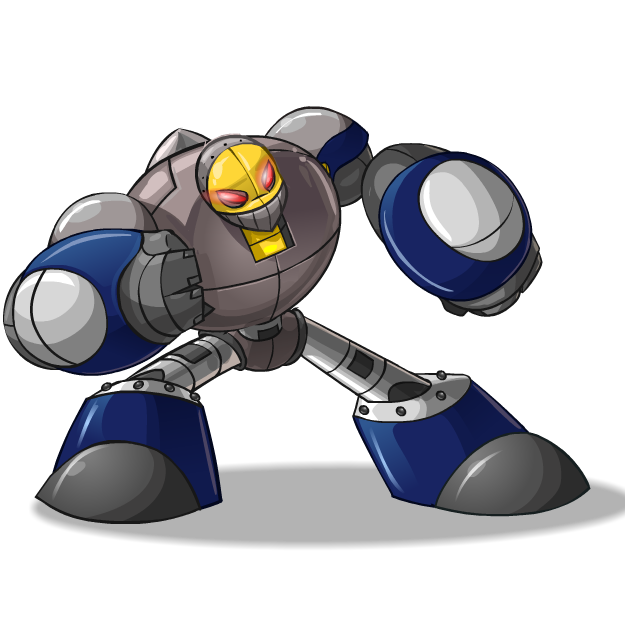 ALL HAIL OLD BATTLEDOME! 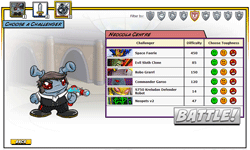 Anyone interested and able can join us on the Battledome Neoboard as we say goodbye. 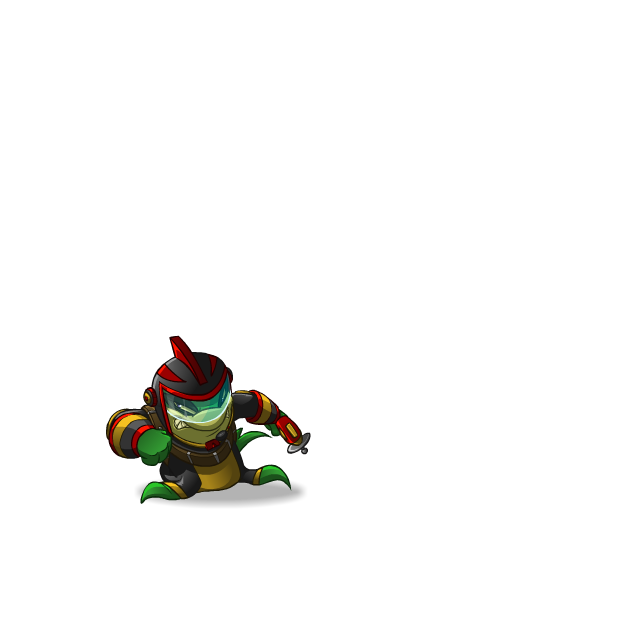 And for the technical stuff: when attempting to visit any Battledome pages, you'll be forwarded to an error page. You'll also receive an error when trying to equip items from your inventory. Next up will be Closed Beta and we'll announce that here in New Features when we start sending out invitations. On October 26th the Closed Beta Testing opened. 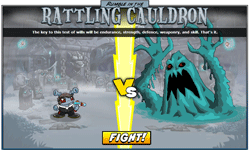 A small amount of people are able to look at the Battledome, try it out and test it. We at SunnyNeo got ourselves some testing spots because we are an officially Recommended Fan Site. We are using these Beta Spots to give everyone who did not get chosen some insights in the new Battledome. On this page you can see an overview of the new features. 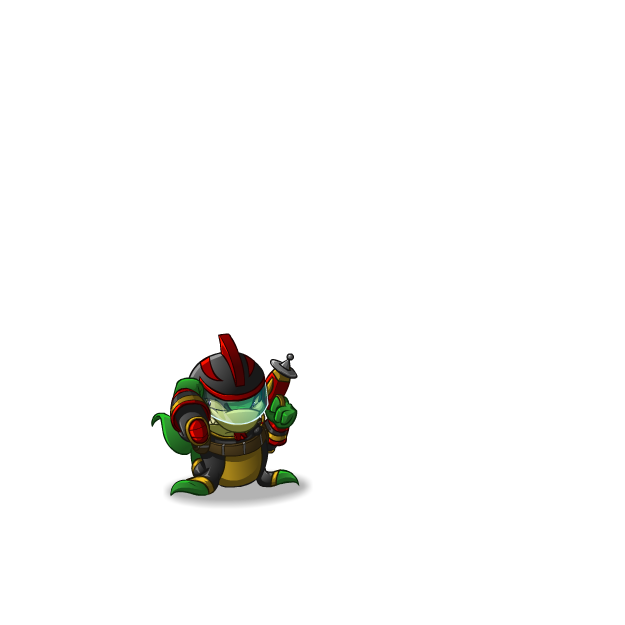 Update: On November 9th the Closed Beta Testing ended, and the Battledome Beta was opened for everyone. 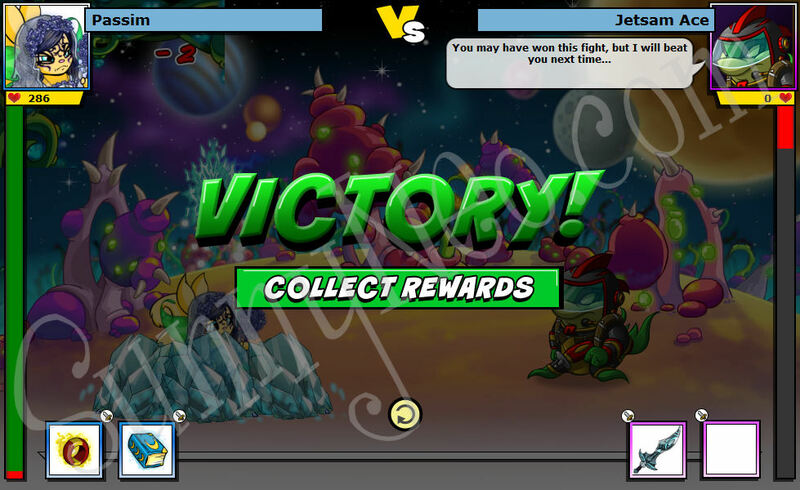 No healing after winning: Your Neopet won't get automatically healed if you win a battle. You must heal it yourself. Reward: You will get a reward for winning a battle. This is currently a low amount of neopoints, ranging from 30 to 100+, but it will go up higher after beta. There will also be an item reward. Toughness: In 1-player battles, you can now choose a Toughness for the challenger you are battling. These are Average, Strong and Mighty. On average, you will fight the challenger with the Difficulty it has been listed with, but on Strong and Mighty, they will get harder to beat! This replaces the old system where a Challenger would get stronger after every time you beat them. This means with the new system your opponents hp does not increase with each defeat. Combat log: The effects of your and your opponent's moves in battle are not listed right away, but you can see them when you click on combat log. You can see on the screenshots show battling looks with and without combat log. 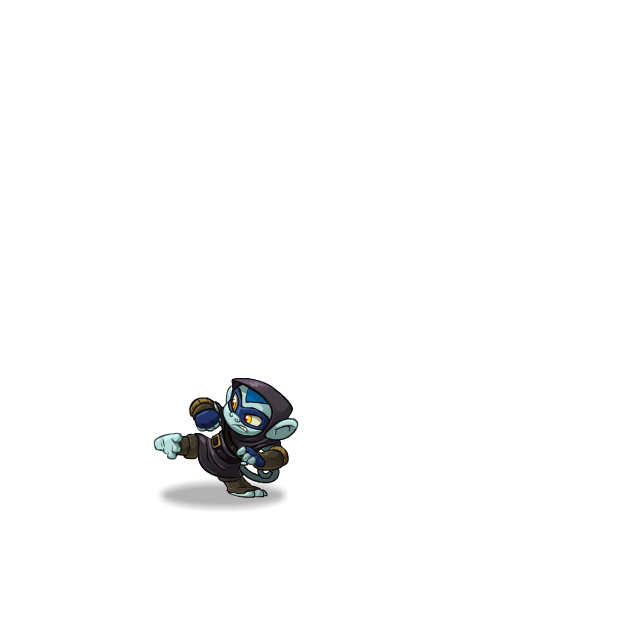 Abilities: The old Abilities won't work anymore, but they are being replaced by a new system of Abilities that isn't active yet. The Battle Fearie is currently making some preparations for this. 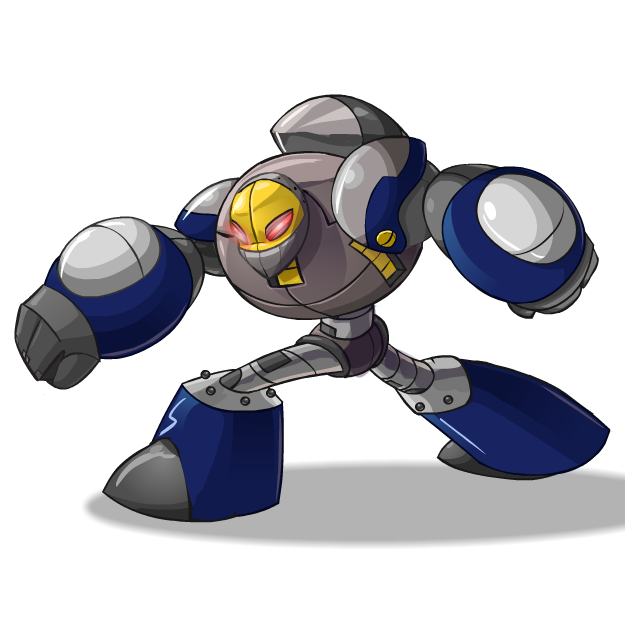 New Challengers: There are seven new One Player Challengers: S750 Kreludan Defender Robot, Neopets v2, Donny, Valin, Giant Spectral Mutant Walein, Giant Space Fungus and Jetsam Ace. 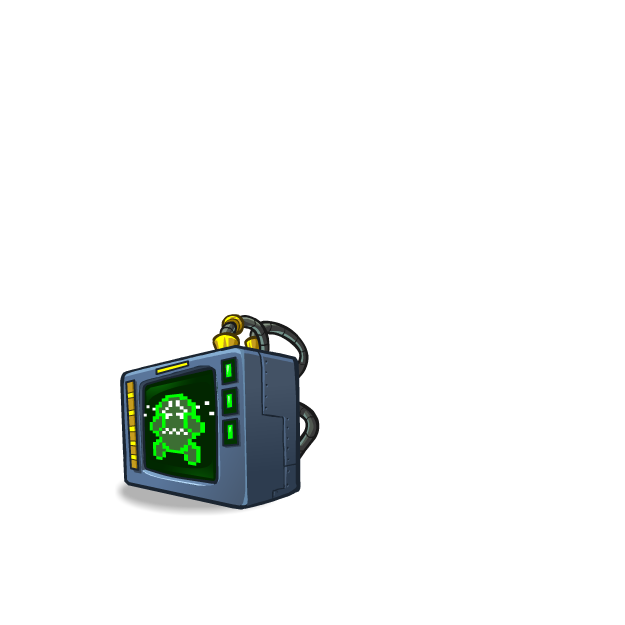 Boosts: In the old Battledome as soon as you reached a certain amount of strength or defence points you would get a 'boost', which then multiplied your damage or defence points. These boosts have been increased. Also agility has a bigger impact now than it used to have. Victory awaits, if you're prepared! 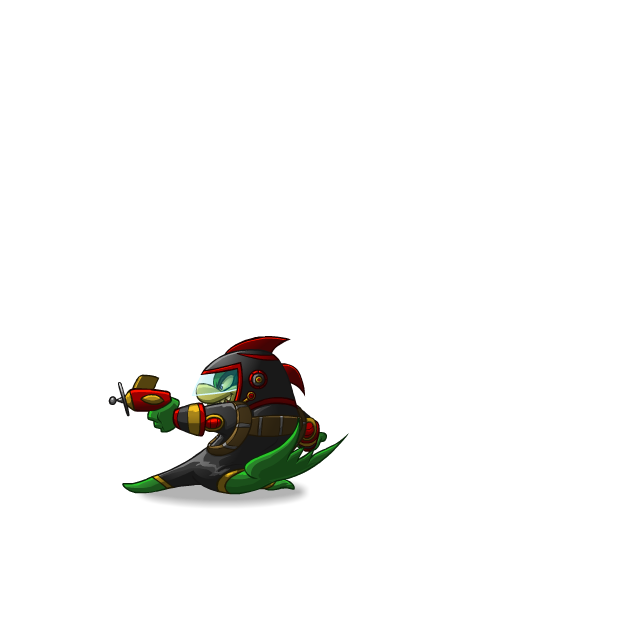 Equip your Neopet with this weapon before you charge into battle or they may end up black and blue. 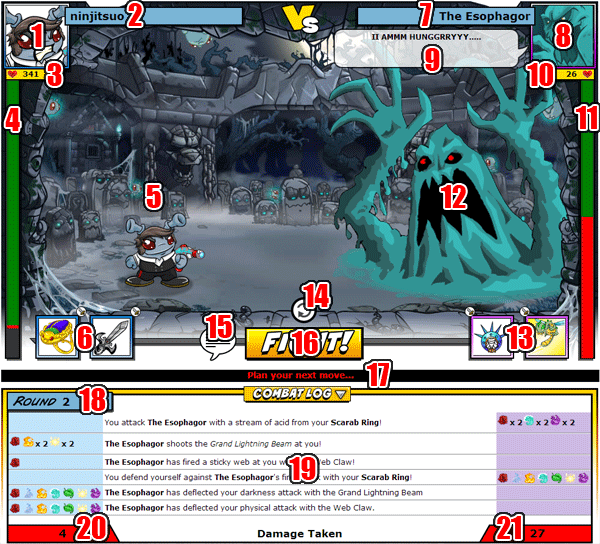 The best way to give you some insights in the new battledome is by showing you some screenshots taken at it. Click to see larger images in a very cool image gallery. There are 7 new One Player Challengers for you to battle. The table below shows the new ones. You may may find all the old ones (they are still there!) at SunnyNeo's Battledome Challengers guide. 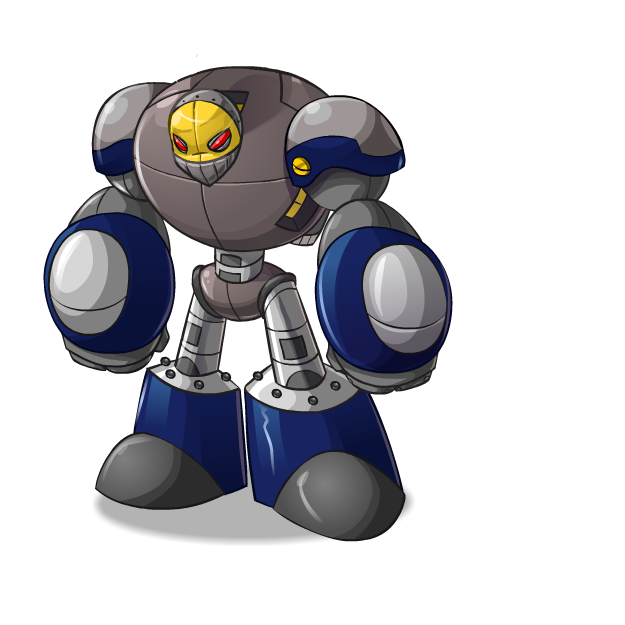 Two of the new challengers are in the Cosmic Dome, Jetsam Ace and Giant Space Fungus. 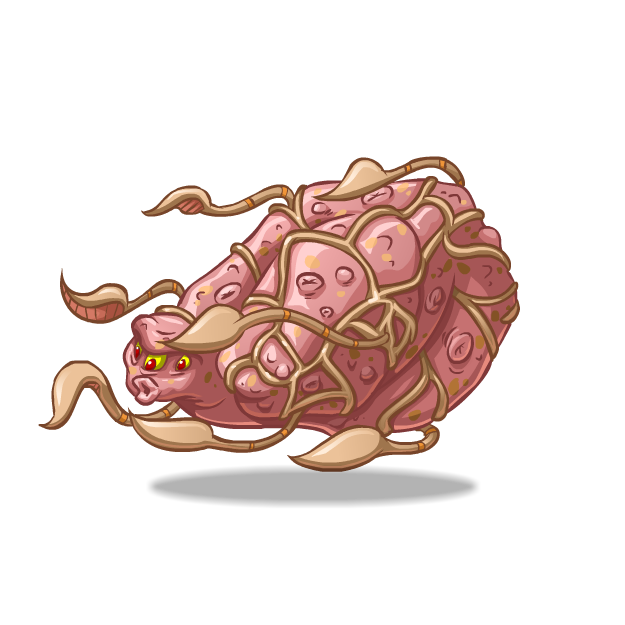 This means only neopets Premium members can battle them. 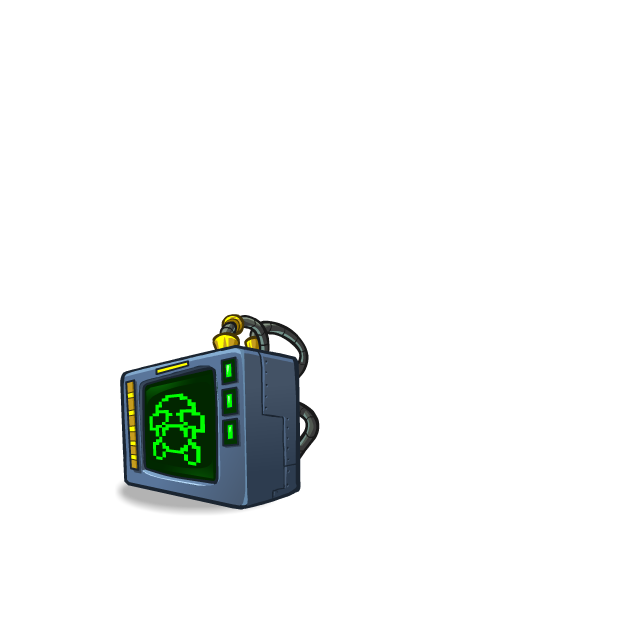 At the moment, beta-testers are recieving item prizes after each battle, next to the neopoint reward that was already given out. You will ramdomly recieve one, two or three prizes after winning. There are many different prizes, and we are not sure if these will saty this way or will be changed later on once bate-testing is over, but we thought it was nice to give you an idea of what you can get right now. Some prizes, like the codestones, are common for all areas, but other areas will have themed prizes. 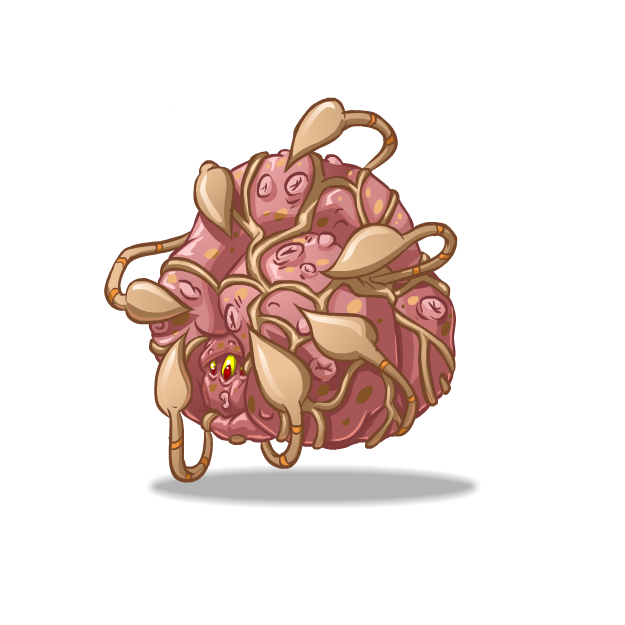 This means the food you will get Pango Palladium is tropic food, the food in Rattling Cauldron will be spooky food. There are also themed prizes for most of the challengers. The pant devil is likely to give you pant devil related items, whereas Edna might give you witchcraft ingredients. Not all prizes listed below can be obtained from any challenger. We have moved the prizes to their own page. They were getting awfully large. Sorry for any confusion. If you somehow managed to get into battle with someone you do not want to battle, you are able to withdraw from the battle. 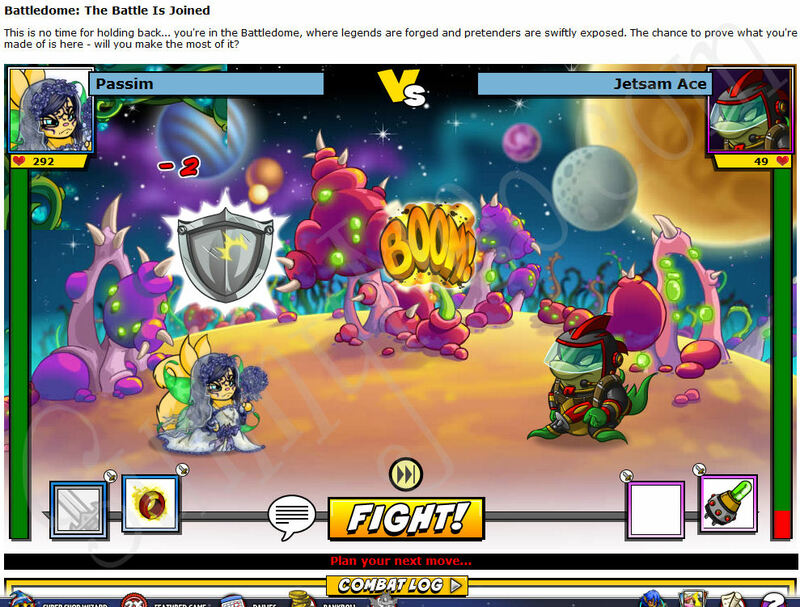 To withdraw go to the battledome, it will load up the fight you were in. Above the top the battledome will still have some buttons, click on the Challenges button. 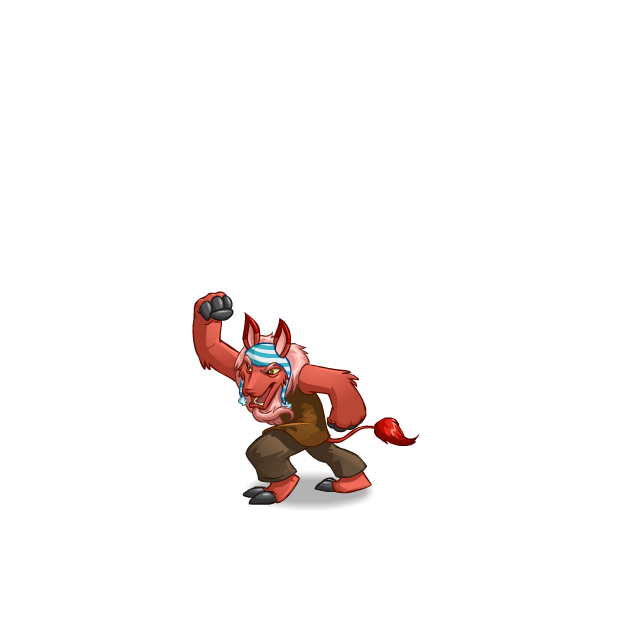 It will then show the current fight you are in, and you can click the withdraw button to withdraw from the battle. A popup will show up and will warn you that withdrawing will count as a loss and ask you if you still want to continue. Click yes to have the battle count as a loss and fully withdraw from the battle. 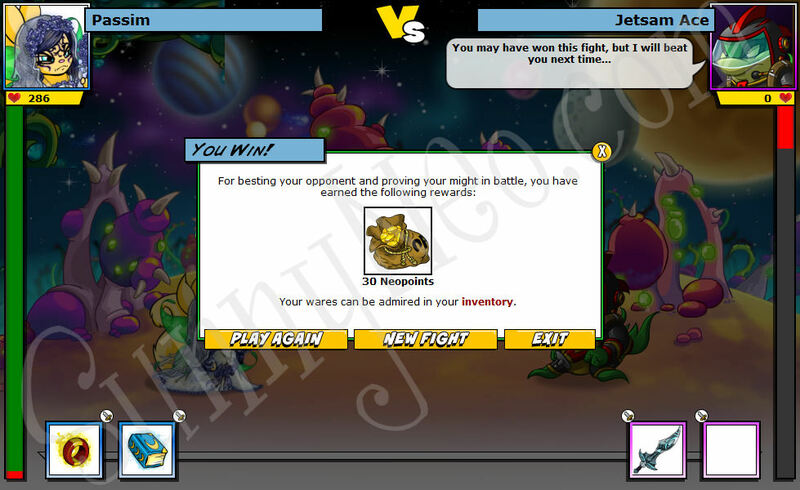 Withdrawing from a Neopet vs Neopet battle is a little bit different. Here you have three scenarios. Two users have decided that they no longer want to battle. No moves have been sent in the Battledome yet. Either of them may go to the Challenges page to withdraw. The pop up will explain that since there were no moves made in the fight that neither player will receive a penalty. One user has sent a move, and the other user wishes to withdraw. If the user who has not sent a move clicks the withdraw button, the pop up will explain that the fight is waiting for their move. If they withdraw now, they will receive a penalty(a loss). The user who sent a move will not. A user has accepted a challenge and made their first move. The only problem is: the other user is no longer online or is away from the computer. 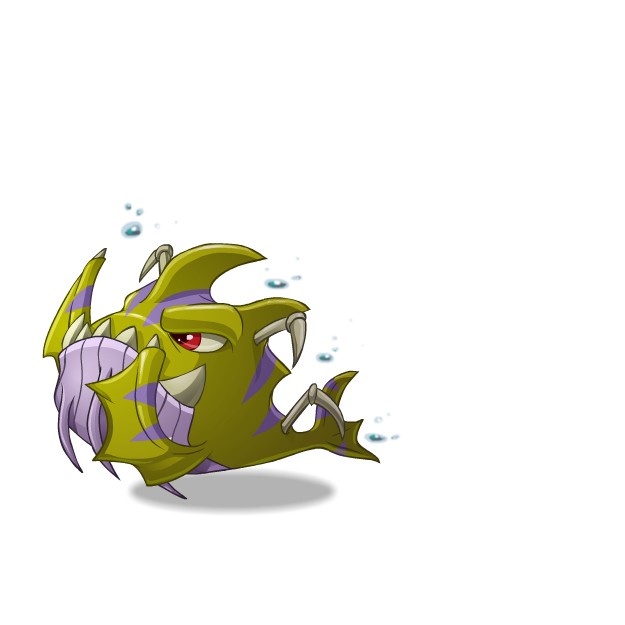 Since the user has sent a move, it will tell them that they cannot withdraw from the battle until 30 minutes of inactivity have passed. Once 30 minutes has elapsed with no additional moves made, they may now withdraw from the battle. The pop up will tell them that the fight will be ended with no penalty to either player. The tutorial below is actually written by TNT, but since it gives a lot of insights we've decided to post it here as well. So, maybe you're new to the Battledome, or simply unfamiliar with its recent makeover. Luckily for you, there's a spiffy tutorial to get you up to speed in five easy steps! Actually, you'll be arming your Neopet! It's not a good idea to go into battle empty-handed, so it's best to equip a few weapons first. Which weapons should you use? Where can you purchase them? Well, that all depends. 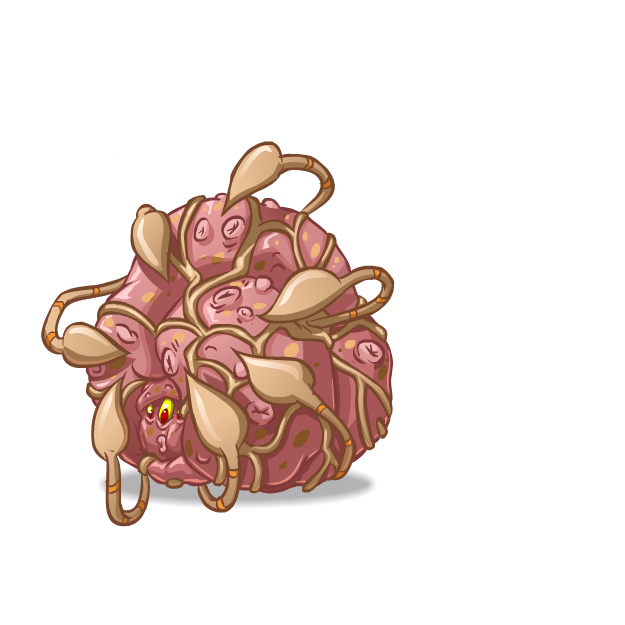 If you're a Neopian newbie, there is some free equipment in your Starter Pack you can use to prepare your Neopet for the Battledome. For more experienced Neopians, there are many weapon shops around Neopia that can supply you with various pieces of equipment. More serious 'Domers may want to compare stats and find the most bang for your buck. There's always the Battlepedia, but also some very helpful Fan Sites out there to aid in your search. 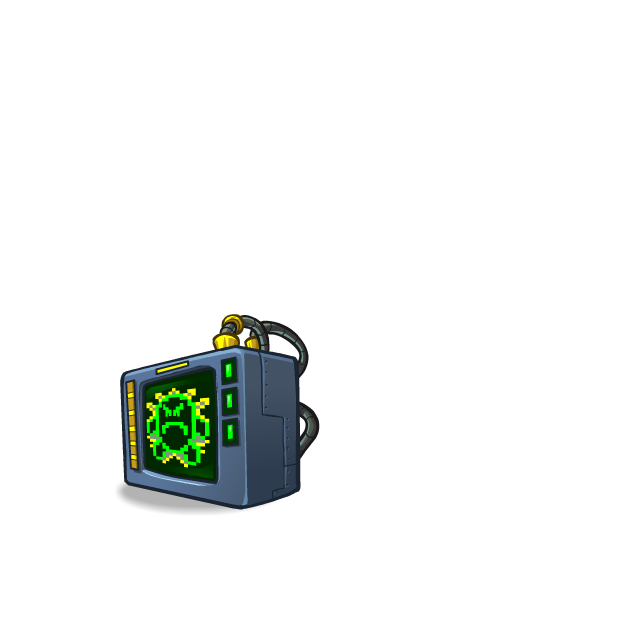 However you obtained it, once you have your equipment in your inventory, you can either click on it there and select the "Equip NEOPETNAME" option in the pop-up, or you can visit the Stats page here in the Battledome (found on the navigation bar above) and equip from there. Once equipped, you're ready to go lookin' for a fight! To get into a fight, find a "Battle!" button! There's one on the main Battledome page and one on (almost) every page in the Battledome navigation bar. This will allow you to set up a fight. 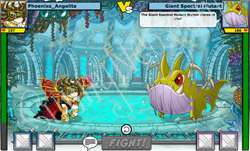 From there, you choose which Neopet you'd like to take into battle, and then select your opponent! 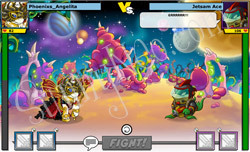 You can choose to fight a challenger (a "computer-controlled" opponent) or a 2-player fight (against another Neopian). 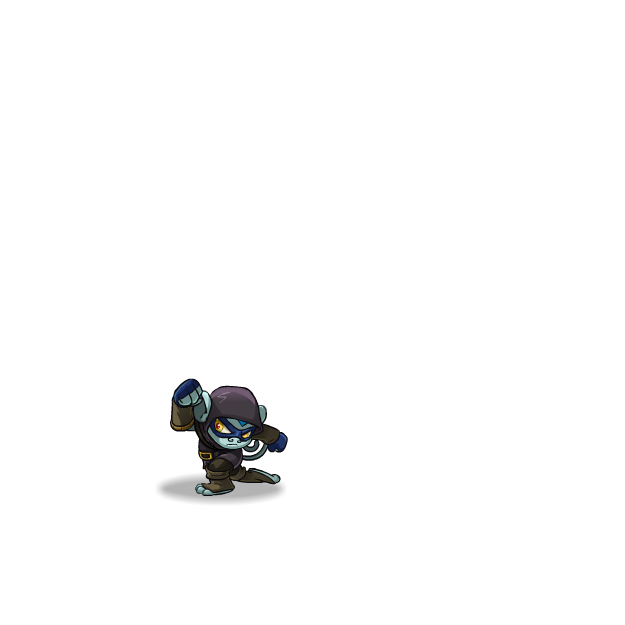 Browse through the opponents you've unlocked and, once you've decided whom you'll be fighting, select a Toughness for that challenger. The Average toughness corresponds to the difficulty number listed in the column to the left, next to that opponent's name. The lower the number, the easier the challenger. From there, each toughness gets, well, tougher. Choose wisely! There are two options for 2-player fights. You can choose to send a challenge directly to another Neopian, or you can wait for a Skirmish. Follow the instructions on each page to find an opponent using these methods. NOTE: During the beta, only other players in the beta can accept challenges and Skirmish wait times may be longer than normal! Once you've found an opponent, the game is on! When you see the "VS" screen, there's no turning back! Click the button at the bottom to enter the battle and prepare for Round 1. 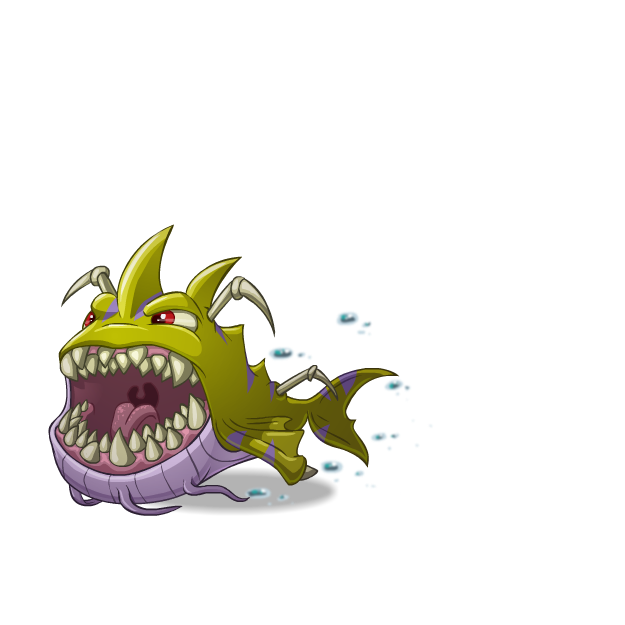 Your opponent's chat - if you send a chat message, your Neopet will also have this bubble on its side of the screen! Fight button - press this after you've planned your move to send it and see what happens! As you battle various opponents, you'll get more familiar with this screen and how to use all the bits and bobs. For now, let's stick with the basics! Every round, you'll need to plan your move. 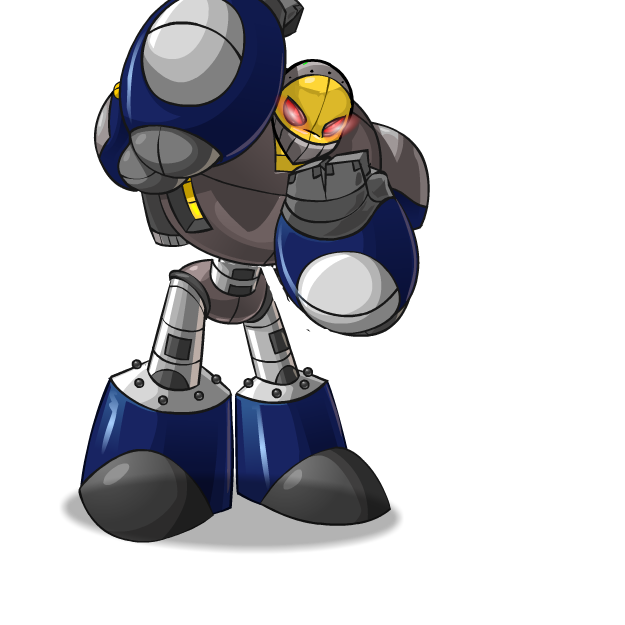 (Your opponent will do the same!) To do this, click on each equipment slot (#6 in the diagram) to select a weapon you'd like to use from the menu. 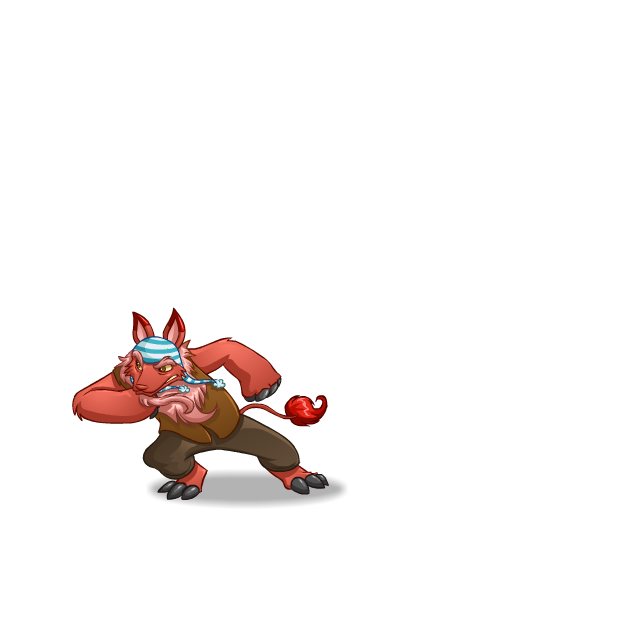 These are what you'll use to damage your opponent and you can select up to two weapons per round. Then click "FIGHT!" (#16 in the diagram) to send your move and see how you fared. 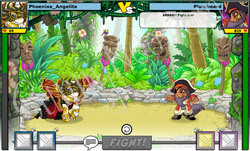 The fight will play out, showing your Neopet's moves and your opponent's moves and how much damage, healing, blocking, etc. was done by each. You can also look at the health bars to see how things panned out. After the fight ends, and you've collected your prizes for winning or cursed your fate for losing, it's time to recuperate. 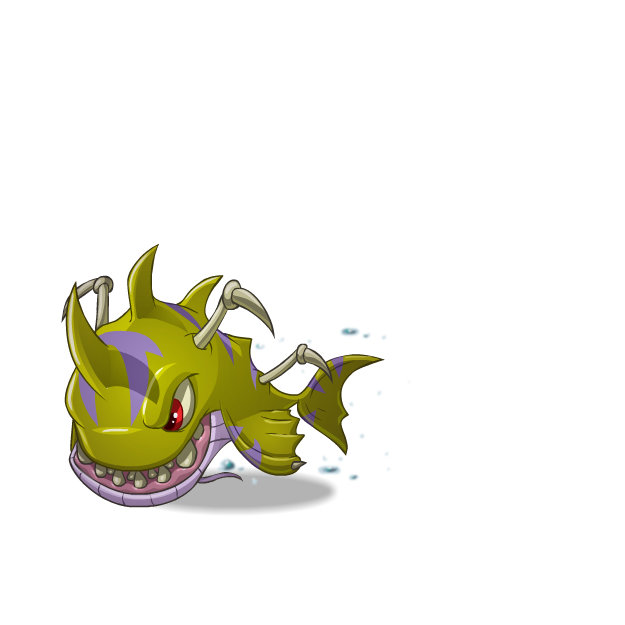 If your Neopet lost any Hit Points during the battle, you can visit the Healing Springs to get back into fighting shape, or you can buy some healing potions or neggs from your fellow Neopians for faster healing. 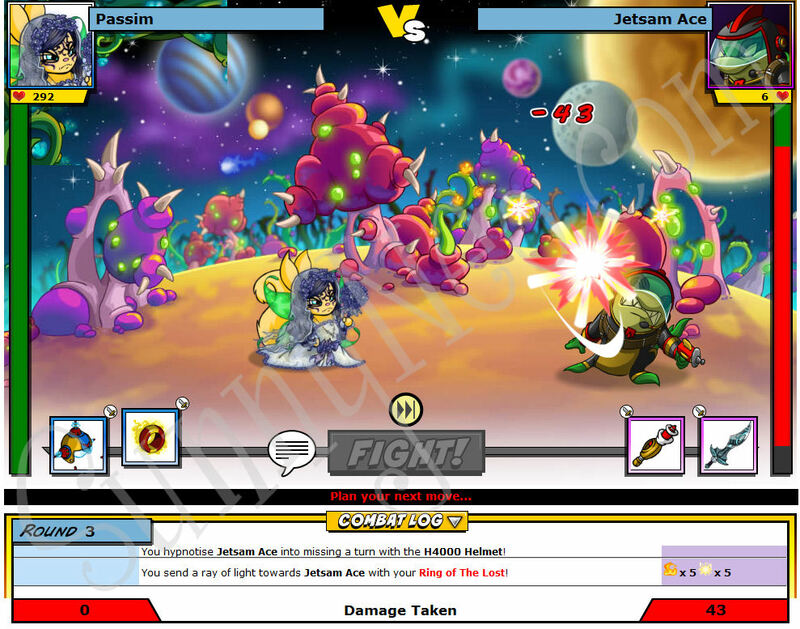 While your Neopet recovers, you can spend the time looking for weapon upgrades, asking for advice on the Battledome Neoboard, or training for your next bout. 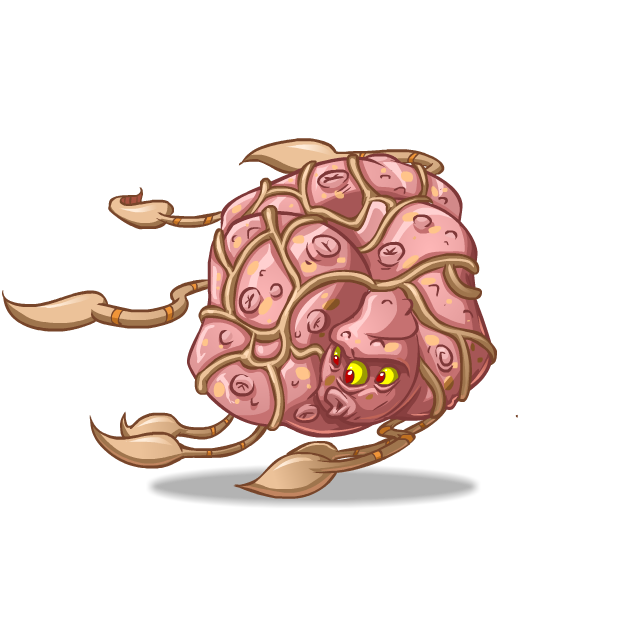 When your Neopet is ready, you can head into battle again to prove your might! Or maybe you just like punching people IN THE FACE.